Enjoying movies in Hudson these days typically requires a trip down 91 south to Regal Cinemas, unless you want to pick up some DVDs and a VHS at Mammoth Video…..too soon?!?. Just imagine if you could simply walk to Main Street and enjoy the same experience. This picture struck my imagination because the modern movie theater experience is so far removed from downtown Hudson these days it seems almost ridiculous to think there could be one right smack in the middle of town, particularly with the economic expansion over the last several decades. Far Left Side: The house you see on the far left side is still standing today and sits on a relatively unused part of the Hudson green. It sits behind the old Merino’s Beer & Wine shop at the northwest corner of 91 and 303. Crosswalk: It seems the crosswalk of today across 303 follows the exact lines of the crosswalk in this old photo. 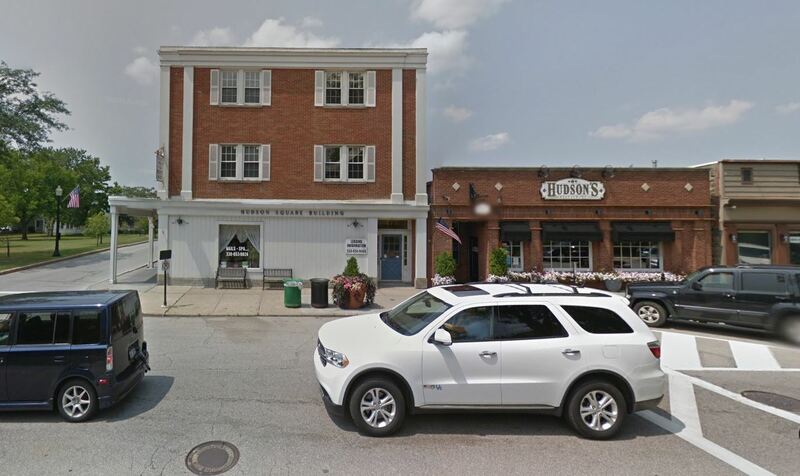 Hudson’s Restaurant/Mary and Teds: Interesting to note that the building as we know it today, with its old brick facade, is a pile of rubble in this photo. Kepners: The corner of Kepners is visible on the far right side of the photo. It’s strange to see Main Street, let alone Kepners, from this angle and with an entire building missing. “The old movie theater was housed in the former Buss store, located at the present-day corner of Main Street and Park Lane. In the 1930’s the building sat empty and unused and according to the local newspaper “had become an unsightly object to persons entering the village from the south.” In 1940, the building was completely remodeled and restored for use as a movie theater. 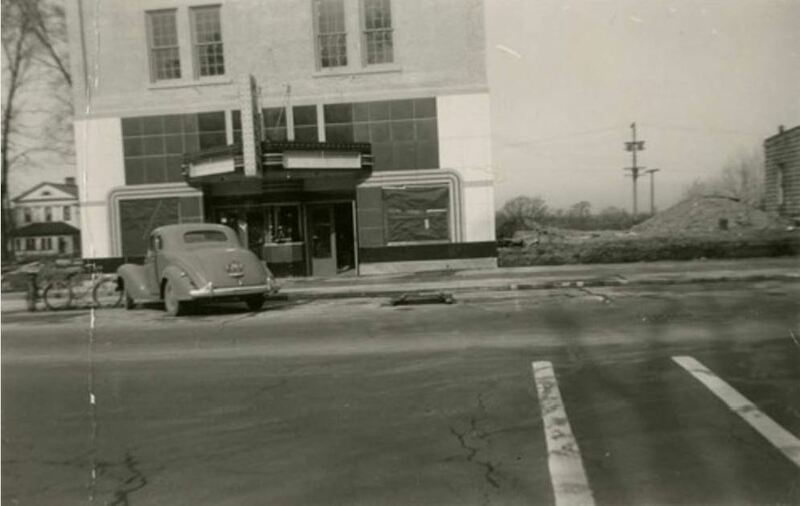 On May 4th, 1941, the theater officially opened. The first film shown was “Slightly Honorable starring Pat O’Brien. The theater had 442 seats and featured the latest sound and projection equipment. T he theater was torn down in the 1960’s.